Sophie Dianne was born Thursday after a quick (almost too-quick!) labor. We sure love her and are soaking up every second with her. She was a chubby 8 lbs. and is just as sweet and easy as can be. well…congratulations! love her middle name…but i'm only slightly partial! Looking forward to watching her grow. Congratulations to you and your family! I am inhaling, I have to admit. She really is a dear little bundle… what a joy. Oh so precious! Congratulations to your whole family. She is darling! Congratulations!! She's precious!! I can't wait to smell that newborn smell in 6 months. COngratulations!! !She is so precious! Enjoy every minute of it! Congrats! She is so darling. I hope you get to spend lots of time with her, snuggling and kissing her. So precious! Congratulations. She's beautiful. Aw… a baby with cute hair! and she looks so feminine! Congrats! What a beautiful girl!! I love her name too. Congratulations! Enjoy these beginning days….and prayers for easy adjustments for those eager big brothers. Awww, beautiful baby girl!! Congratulations :) And you're right about the baby head – nothing beats it!!! So very happy for you … Sophie is just beautiful. Congratulations! Congrats to you and your family, she is adorable!! Oh my she is so beautiful!! Congratulations! Isn't she just beautiful! Congratulations to you and your family, having a little girl is just so special for a Mummy. Congrats on your beautiful new addition! congratulations she is gorgeous. I too have a Sophie. Congrats. Sophie is a wonderful name. In my opinion too quick is likely better than too long. Hope your recovery is going well. Oh, Congratulations! And that's a wonderful name – I have a Sophie too! Awww!! She is beautiful! Congratulations! Congratulations! She's beautiful and you look fabulous! Congratulations, Sophie is a beautiful baby, love the name. Hugs to all. What a beautiful little girl, a true bundle of joy! A big congrats to you and your family for such a wonderful blessing. They do smell so fantastic, don't they? So tiny and full of promise and unending happiness. Oh well done you clever thing! Congratulations to you all! The hair! The cheeks! Oh, she is just perfect. Huge congrats to you, I hope you are all doing well. Oh my she's a beauty! Love the fat cheeks and the lovely hairstyle! That new baby smell is truly one of a kind and so very special! Congratulations to all of you for this sweet little blessing! Oh, she is beautiful, and I can almost smell that newborn smell, like no other..love it! Her skin is so perfect, and just enough hair..enjoy, drink in the joy of holding her and loving every moment of her babyhood. Oh, I'm so happy! I love that name and I agree, the new baby smell is so nice. Congratulations. Hope you recover soon. Congrats! Love all that hair she's got! She's beautiful! Congrats to your family! Congratulations on the arrival your beautiful baby girl! Congratulations! I became a Grandma for the first time on Wednesday, so we were close. Pics on my blog. With another generation I am even more grateful for the blessings of the temple! congratulation….really miss that smell…but i think 3 kids is enough for me…hehe..
Congratulations – you are both gorgeous :) Enjoy the baby sweetness! Congratulations!! Little Sophie is just gorgeous!! Congratulations, Allison! She is such a sweetheart! Ok, now I'm curious… how long is an almost too short labor? :) Take care now! She is your best work yet :) What a sweetie pie!! Congrats to you and your family and soak up all this sweetness. Congratulações!Obrigada por cheirar e beijar por nós.Toda felicidade do mundo para vocês.é linda. Oh a thousand congratulations! She is adorable and I love the chubby. Blessings on you and I love the name. Congratulations, she's adorable! Love that hair! Congratulations, she is absolutely gorgeous. Congratulations! How wonderful! What a sweet babe! ohhhhhhhhhhhhh so sweet! What a cutie she is and I love her name. She is so adorable! Congrats! I love, love, love the name Sophie too. It's one of those names that fits people of all ages. Congratulations to you and your family on the beautiful addition to the family. She's absolutely perfect, and I love her name! Your blog is one of my favorites. Congratulations!… what sweet pictures… may she be a blessing to you all! oh Allison, she is adorable. You are right nothing smells so sweet. Congratulations. Congratulations! Sohpie looks adorable and sweet as ever. I agree with you, there is nothing better than a fuzzy little newborn head. I still sniff and smell my daughter's head every day and she's two now. Congratulations! Feel free to show pictures of those little baby toes and feet! Congratulations to you all! She is beautiful! Congrats! She is beautiful and I love her name! wonderful! she is just darling. enjoy these first sweet baby days! Congratulations! She's just lovely and such a wonderful name. Enjoy! Congratulations! She is a precious gift. I love her name, too! Congrats on your new addition. She is a cutie! Congratulations. That sweet little chin is just making me melt. Awww! Allison, I'm tearing up! Your family is complete…. this makes me so so happy! What a beautiful baby! Such a lot of lovely hair too. Lucky you. Allison, I'm thrilled for you and your family. A little girl, the best. Gods blessings to you and your family. All the Best to you and your Newbie!! I remember smelling my daughters' head thinking she smelled like a new Barbie Doll; "plasticky" and new. Funny…even babies come with a new car smell! What a beautiful new baby girl you have, I am sure all the family would be full of love for Sophie ! And that lovely memorable new baby smell , oh so comforting, enjoy! She's so precious! You both look beautiful :-) Congratulations on your growing family! Congratulations, to you and your family. Georgeous Sophie, she is beautiful.. Congrats!! She is so beautiful and I love her hair!! So happy for you!! Congratulations Allison, she is so beautiful and sweet! She looks beautiful! Congratulations with this little dream girl! CONGRATULATIONS!! What a cute little baby you got! Enjoy her smells and her little sounds. Lucky you! She's so lovely …. when I see a newborn baby I have the desire to make another one —- nut I think it's enough …. I have 4 babies!!!!! She is absolutely beautiful! Another of God's wonderful little miracles! May the Good Lord Bless and Keep You All! Oh, what lovely news. She's gorgeous!! Congratulations Allison! She is beautiful and I must say you look rather fabulous yourself! Congratulations to you and your whole family! She will be one spoiled little sister, I'm sure – and she is absolutely beautiful. Oh Allison. She is beautiful. Congratulations. Congratulations to you on your beautiful baby girl. Congratulations to you! What a cutie! Oh, she's so sweet! Congratulations. Too cute! Enjoy every moment! Congratulations!! She is a cutie! Awww, what an absolutely adorable little girl! Congratulations to you and your whole family! Congratulations! Even though it has been many years since I had a newborn I can still remember the smell, what a great memory. What a beautiful little girl! Congratulations to you and your family on the birth of Sophie Dianne! She is beautiful. Enjoy this precious gift. So, so, SO happy for you! Congratulations! Blessing to all of you! Our fifth grand child was born last month and we are all in love with this little bundle of joy. and yes…kissing the head is wonderful…counting little toesies too! So happy for you and your family- I have 3 weeks to go and am so excited to have mine! All the best. She is gorgeous! Congratulations! Enjoy every sweet moment with her! Congratulations to all your family!!! Enjoy her every minute, she is beautiful! Congrations to all of you. She is very beautiful ~ Mom looks great too! Very sweet pictures. What a beauty..Soak up every moment! Congratulations. Congratulations to all your family! Sophie is adorable! Congrats! Enjoy it because it goes so quickly! My baby is now 15 months! Sweet Sophie, welcome! Congratulations to all the family! Hooray! She is adorable, of course! Some of your best work, yet. Congratulations! She is absolutely beautiful!! My #6 is a Sophie. She is a 17yo young woman, and just as beautiful and amazing as the day she was born. I wish you many wonderful years loving your new daughter. Ah, the sweet smell of a new baby! Congratulations! That is my new cousin!! Can't wait to hold her!! She is so adorable!! gefeliciteerd as we say in Dutch!! Yay for a healthy baby!!! She is beautiful! Congratulations! A beautiful baby with a lovely name! She is as cute as cute can be! Congratulations! She's absolutely beautiful. Yes, please smell her wonderful smell and share with us — miss it. Love her name, too! Best wishes to you and your family! You and your little treasure are so sweet! Kiss Kiss Kiss!!! Congratulations! 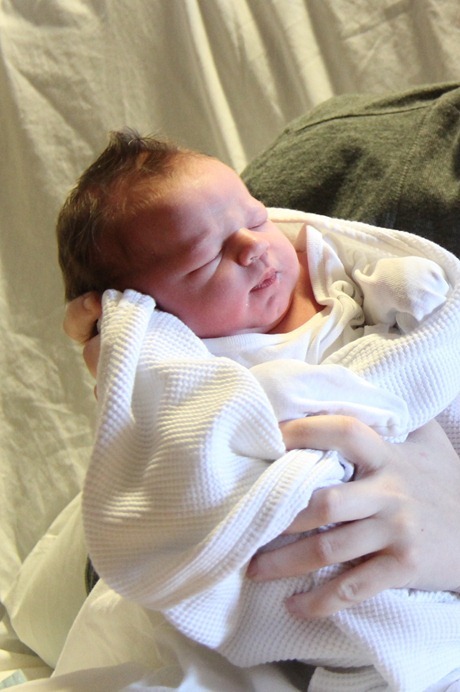 Look at all that hair–what a cutie! Congratulations! And welcome to this big, bright wonderful world Miss Sophie Dianne! Congratulations! Baby girls are just wonderful! Congratulations!! And so much beautiful hair! She looks perfectly adorable and sweet! Oh how cute. Making me baby hungry good thing wife is 9 months pregnant and almost ready to deliver my own. New borns are fantastic so sweet and pure. She looks beautiful. Congratulations, she's just perfect, and no you can never beat the smell of a newborn baby! Huge congratulations, she looks such a sweetie! Congrats! She is adorable, I love a chubby newborn face! Congratulations on your beautiful baby girl! She is adorable. Sending our best wishes to your newly expanded family. Enjoy!!! Congratulations! Sophie is just beautiful! What a beautiful little girl! Love her name. Congratulations and have lots of fun bonding with that silky skin and wonderful smell! Congratulations and all the best wishes. She's lovely. Congratulations on your sweet baby. Enjoy her as much as you can! Best wishes to you and your family! 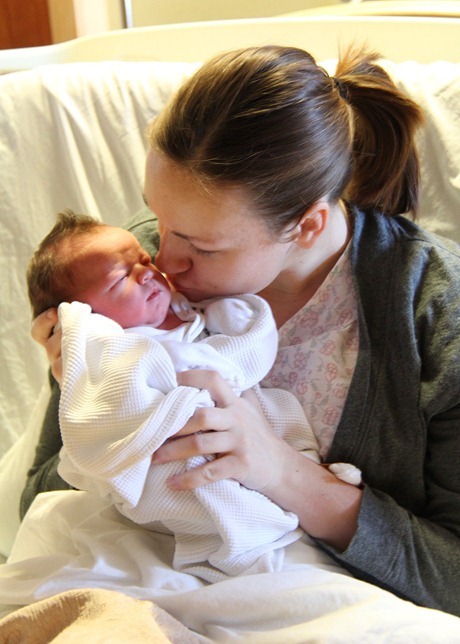 Congratulations – She's beautiful…just like her momma! Just enjoy her and her lovely sweet smells….love the name! Congrats. What a cutie. My one year old granddaughter still doesn't have that much hair! She is so beautiful! I miss those newborn baby smells and grunts and snuggles! Congratulations. You look fantastic also, I am very jealous!! Oh, she is gorgeous! So precious! I love all that beautiful hair! Enjoy, enjoy! What a cutie!! Good job mama! I remember when your second was born and you posted a photo of him…have I been reading your blog that long? Wow – time flies! Hope you and baby are happy and doing well! Congratulations! She's adorable, I love the hair! Enjoy your time with her, as you know, it goes too fast. I had my 3rd in December and can't believe I'm already back at work. Aww, what a cutie! Congratulations! Congratulations on your newest blessing! She's gorgeous! Soak in every precious moment. Congrats! so cute. Ahh the newborn smell, love it. Congratulations!!! How wonderful and soo precious. Congratulations on the arrival of beautiful Sophie! I love her tuft of hair – so cute! Enjoy getting to know your daughter! Great job Mama – she's just about as beautiful as they come! Muchas felicidades !!!! Besos para las dos. How wonderful! I hope you are all well. I'm sure everyone has already fallen completely for her. Congrats! And new baby smell… yes please! Congratulations! I love all tha hair, so silky looking! Enjoy giving her lots of kisses! Congratulations Allison! She is absolutely beautiful!!! congratulations! what a sweet little chunk of baby. mine is only 8 months, and yet i'm already nostalgic for those newborn days and that fresh newborn smell. lucky you! Congratulations!! I never got the smell as my little one was born with a chest infection (swallowed some of his amniotic fluid) so he smelt of disinfection and hospitally…..
Oh, I wish her HEALTH, WEALTH and HAPPYNESS! Congratulations! She is beautiful. Take care and enjoy her. Congratulations, what a gorgeous girl! Congratulations on your new arrival! And how wonderful that you had an easy labor. Blessings to you all. Congratulations she looks perfect and the thought of that newborn smell is making me so broody! She is gorgeous. It isn't too often you see Dianne spelled that way. It is the same way I spelled my daughter's middle name – which is the same way my mom's middle name is spelled. Congrats on an amazing daughter. Congrats to the family! I'm sure Miss Sophie will be spoiled beyond belief! You're right, that newborn smell is to die for! CONGRATULATIONS!!! SHE'S BEAUTIFUL!!! WELCOME, SOPHIE!!! Blessings to you and your new little girl! She is beautiful! I've been watching many ladies of the blogs I read have babies the past few months, it is so wonderful to see new life and the joy they bring! congratulations again! Congratulations on your new addition! She is beautiful. Congratulations! She is beautiful. Oh the miracle of life! She is so adorable! Congratulations! Congratulations, so precious and love her name too! Congrats, she's so cute! Enjoy! Aw, congratulations! I've been thinking of you lately so I'm thrilled to see this news. Take care. Congratulations! She is just beautiful! Congratulations on your family's newest member. She's beautiful. Your baby daughter is simply ADORABLE! Love your blog and all your wonderful ideas. Thanks for sharing. Congrats! Love the smell of "BABY". Oh, I love the newborn smell. Congrats, Sophie is gorgeous!! I hope you are recovering well and enjoying every precious moment with your girl. Oh how terrific!!! Congratulations!!! She is beautiful! congratulations, Al! she's absolutely beautiful!!! enjoy all the pink! it's soooo fun after having two boys. i know all about it! congratulations on your new baby girl. She is a cutie. I'm late to the party but CONGRATULATIONS! So sweet!